The birth of Jamshedpur predates the great urban planning experiments of the 20th century in the Indian subcontinent like New Delhi, Islamabad & Chandigarh. Jamsetji Nusserwanji Tata was looking to build a steel plant in India in the early years of the 20th century after visiting & learning about the growth of industrial towns like Manchester, Pittsburgh & others especially in the western part of the world. While his visit to Pittsburgh he met a noted geologist Charles Page Perin and he asked him to find a worthy place for the same in the Indian subcontinent. The search began in 1904 and it continued for around three years when a small village of Sakchi was found blessed with rich mineral resources like iron, coal & limestone along with a scenic picturesque of the Dalma hills. The locational aspect was also very important while finalising the site - the quick means of transportation to Calcutta Port afforded by Kalimati Railway Station (later named as Tatanagar as a legacy towards the founders of the town & their company) lied on the Calcutta-Bombay railway line was only 3 miles away. The vision of the city was quite clear, comprehensive & holistic in nature. Jamsetji once wrote a letter to his son Dorabji Tata (who later continued with the development of the city after the demise of Jamsetji in 1904) in 1902 quoting ‘Be Sure to lay wide streets planted with shady trees, every other of a quick growing variety. Be sure that there is plenty of space for lawns and gardens; reserve large areas for football, hockey and parks; earmark areas for Hindu temples, Mohammedan mosques and Christian churches’. His vision wasn’t just to build an industrial town, he rather was more focused on building a livable city especially in terms of the citizens’ relationship with green spaces while allowing people from all sections of the society to build one of the first modern cosmopolitan city of India allowing them to gel them by means of open spaces with a sense of belongingness. The city was given its present name of Jamshedpur in 1919 to pay homage to its founder and his vision by Lord Chelmsford of whose construction officially started of in 1908. The first lay-out of the town was prepared by Julin Kennedy Sahlin of Pittsburg of America in 1912. It was designed more or less on American lines with roads at right angles and as a small industrial town with alphabetically named east-west avenues and numerically named north-south roads. 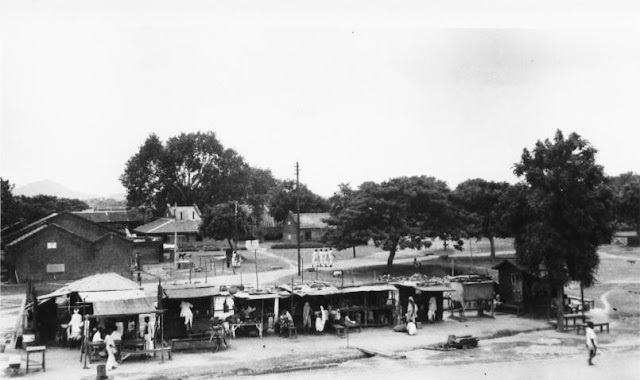 The city saw its first full fledged expansion into a big industrial town in 1920, when Frederick Charles Temple, who was then the Sanitary Engineer to the Government of Bihar & a Town Planner, was engaged as the Chief Town Engineer. Temple’s work was influenced by the lifestyle of the local tribal people and also by the garden city concept of Letchworth. His design principles were also influenced by the planning of the industrial village of New Earswick. Due to the expansion of the steel plant in 1930 the city started facing the shortage of housing more intensely than before & the city’s plan of action got shifted towards development of housing in 1936 when Major P.C Stokes, who was connected with Quetta Reconstruction after earth-quake, was invited by the Company to advise on town planning and development. His planning principles were influenced by the ideas of Earnest Burgess who suggested the outwards expansion of a city in 1925. In 1943, Dr. Keonigsberger was invited to advise on the planning of the town. His team prepared a master plan based on garden city principles and construction of neighbourhood units. It employed modern urban planning principles, ushering in modernity through new modes of spatiality & lifestyles associated with industrialisation. 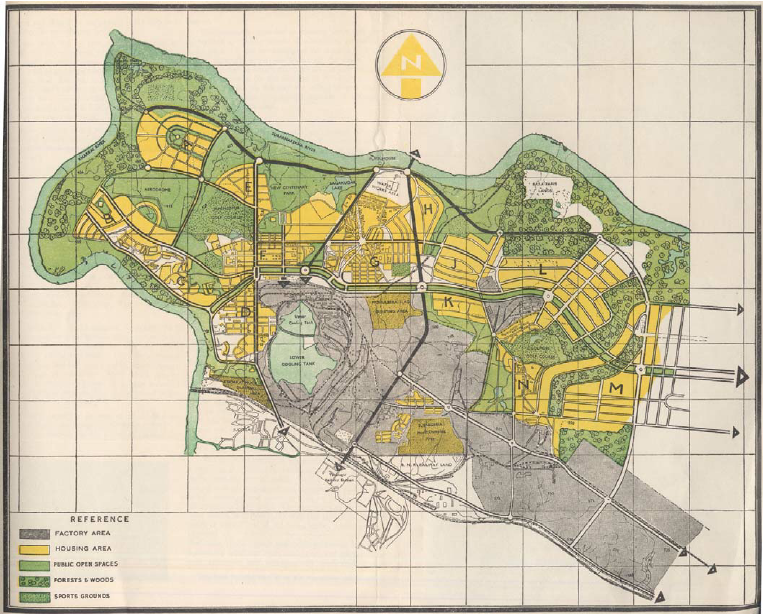 The planning ideals included open green spaces of the garden city as an antidote to industrialisation, urban infrastructure adapted to local site conditions, neighbourhood units self-sufficient in civic amenities, and street hierarchy as a means of traffic segregation. 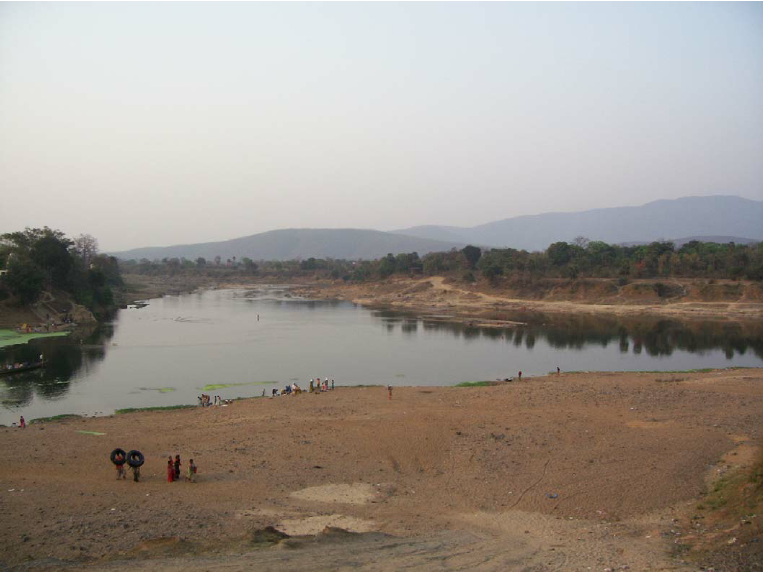 Regionalisation of global planning ideals as well as the tension between planned development and organic growth is evident in the narrative of Jamshedpur evolving from a company town to industrial city to the present day urban agglomeration. 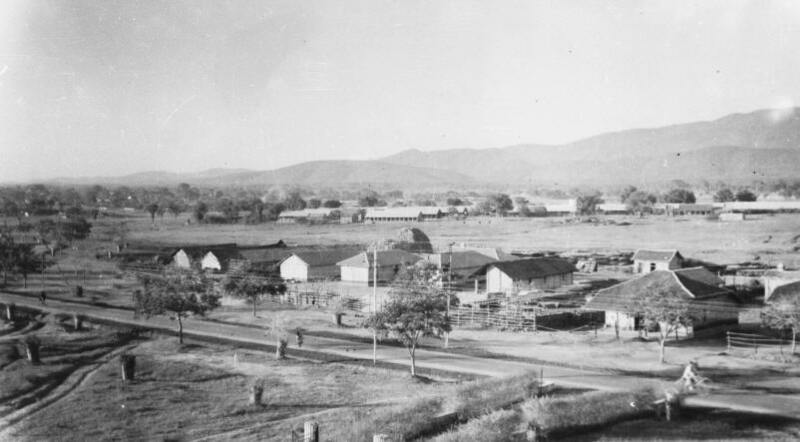 Unlike New Delhi (of whose development started off in 1911 with the shift of the British’s empires Indian colonial capital city to Delhi), an exercise in legitimating the empire in the eye of its colonial subject, Jamshedpur was an indigenous industrial development, initiated, financed and built by Indians, using local resources and labor albeit aided by foreign expertise. The population of the city was just over two lakh in 1951 which has increased to over 13 lakhs as per the Indian census of 2011. The urban agglomeration of Jamshedpur has now turned into the largest urban region in the Indian state of Jamshedpur and the city has experienced tremendous growth since its inception a century over now. The city presents an approach of urban planning of whose primary objective is to build a city which would increase the productivity and living standards of its citizens. Jamshedpur was awarded by the UN Global Compact city award in 2006. The city has been predicted as the 84th fastest growing city in the world for the timeframe 2006–2020. 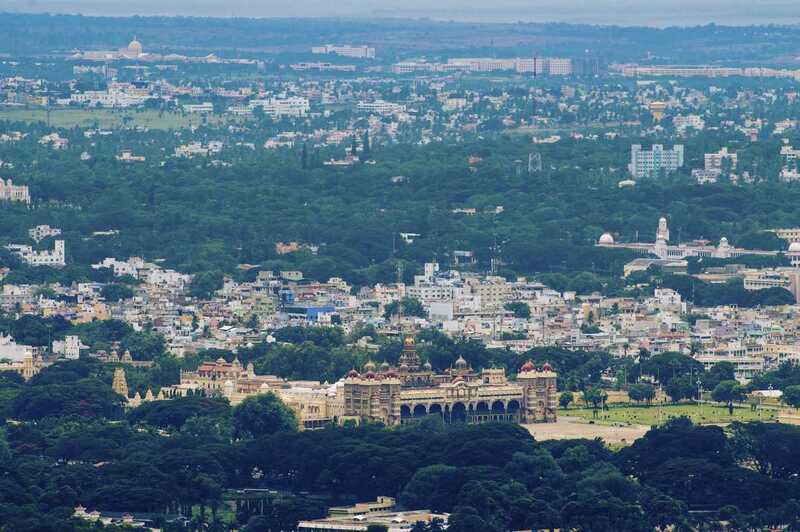 The city is one of the most greenest cities of the country with around 27% of its area under green cover. The city is currently facing issues of availability of potable water, rising air pollution, worsening of waste management system, etc, and these shall be looked into through a more constructive lens that being viewed in present times. 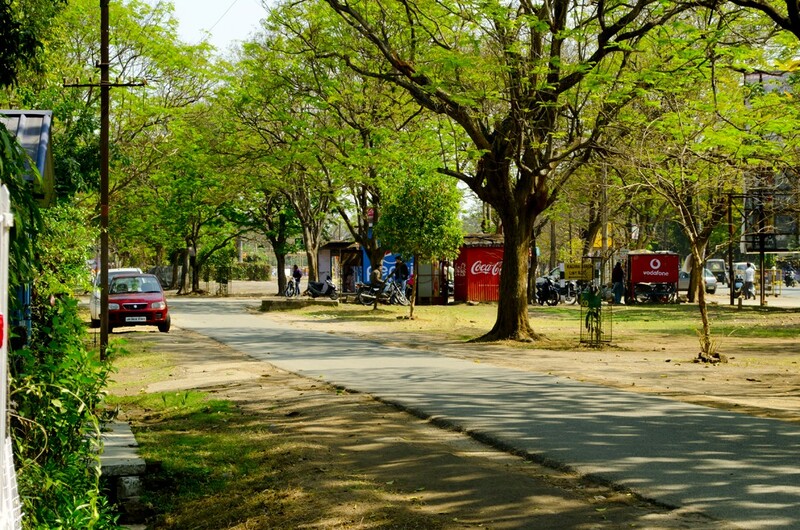 There are various steps being taken by the managing body of the city which is JUSCO (Jamshedpur Utilities and Services Company) which included plantation of 1.2 million tress over the first decade of the 21st century. The city was named as the seventh cleanest city of India in 2011 which was pulled down to the lower side of the list (to the bottom 10) released by the Government of India under its Swachch Bharat Abhiyan in 2016. 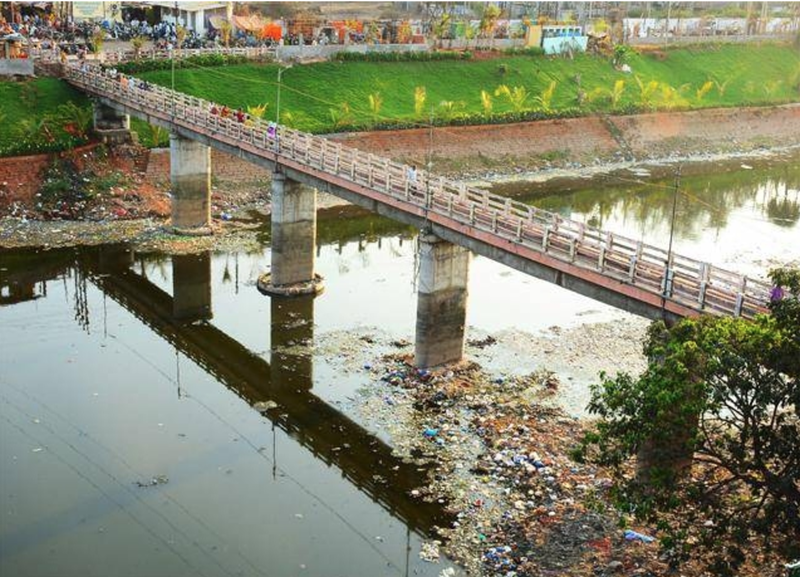 The city is rated as the fourth in terms of the per capita water consumption in the Indian cities and it is now eyeing on to become India's first zero sewerage discharge city. The vision of the city is worth to cherish for the planning fraternity but the accelerated increase in the urbanisation levels of the state has led to the rise of urban issues and problems - the time has come to rejuvenate the city's system once again like it has done over the course of its developmental history on the platforms of inter-disciplinary perspective of human urban settlements and present a model of integrated industrial & residential mode of human development while maintaining its living standards and quality of life.